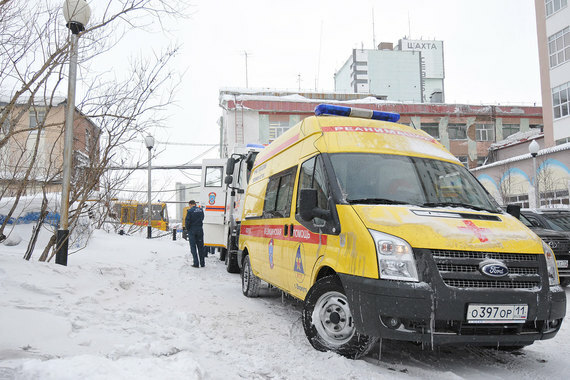 Relatives of Russian mineworkers killed in a series of explosions at the Severnaya mine in Vorkuta, north of the Arctic circle, are demanding legal action against managers who repeatedly violated safety procedures. media reported that hope of finding them alive had faded. Also on Sunday, five rescue workers and a miner were killed in a further explosion. By midday Sunday 300 people had signed a petition launched by the victims’ relatives to Aleksandr Bastrykin, head of Russia’s state investigation committee, demanding that mine managers be prosecuted. On 9 November Pavlensky poured petrol over the doors of the infamous federal security services (FSB) building at Lubyanka square in central Moscow and set fire to them. He named the action Threat [Ugroza]: friends photographed and filmed him as the flames took hold. (Damage was done, but no-one was hurt.) Pavlensky was arrested soon afterwards. The FSB’s building was inherited directly from the Soviet KGB. Thousands of the regime’s political opponents were tortured and killed behind its austere façade. Pavlensky has been charged with “vandalism motivated by ideological hatred”, whatever that means, and appeared at the Tagansky district court several times. At his first appearance he compared his case to those of Crimean activists jailed on false “terrorism” charges – including Oleksandr Kolchenko and Oleg Sentsov – and said he would not address the court further. Oleksei Chirniy, who was charged along with Kolchenko and Sentsov, was also detained at the Serbsky institute prior to his trial. His supporters alleged he had been mistreated with psychotropic drugs. Yanukovich, he went with collaborators he went to Malyi Koniushennyi bridge in St Petersburg, setting light to car tyres and banging dustbin lids, to recreate the atmosphere of the Maidan demonstrations in Kyiv. You are currently browsing the People and Nature blog archives for February, 2016.